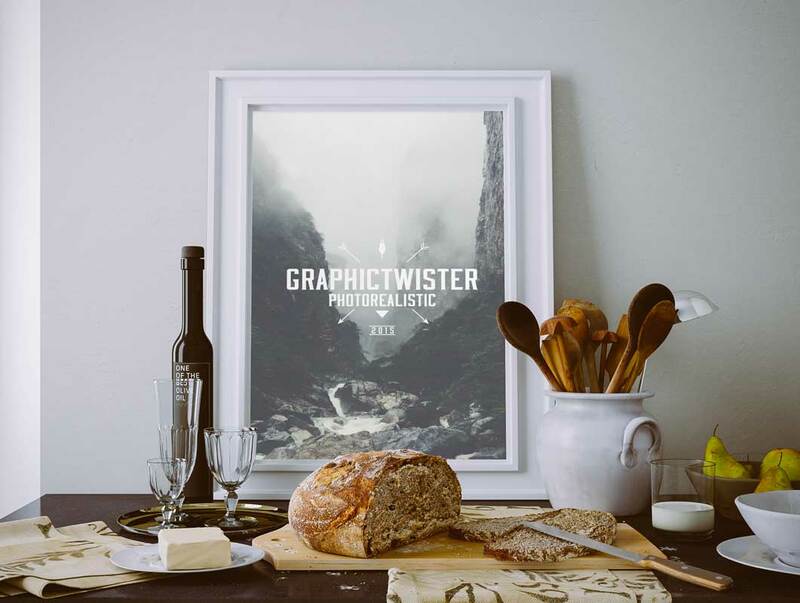 Something new for You, Unique Mockup In The Kitchen. You can use the mockup to show case your design or presentation in silver wall frame with photorealistic effect in the kitchen environment. Add your image inside the smart object and enjoy you work. Click on first photo to view full details. This Psd file include 6 color effects.